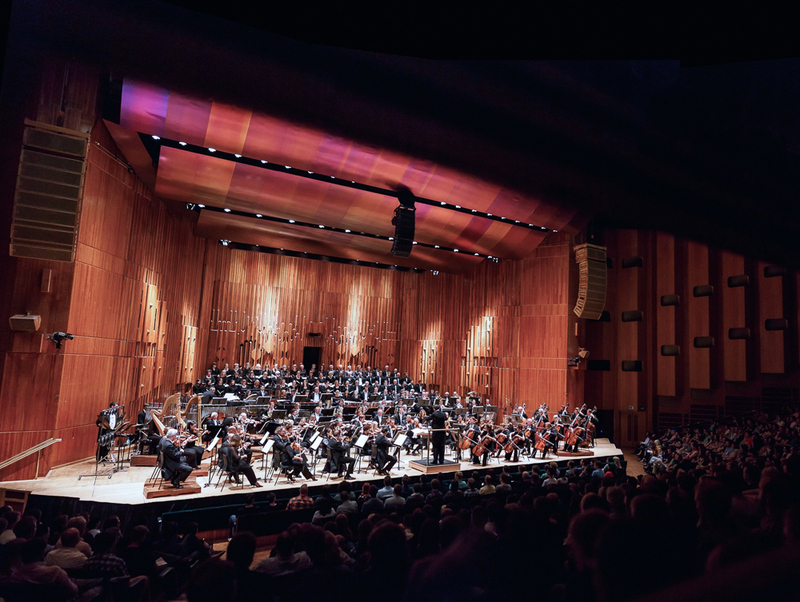 In May 2013, producer Thomas Böcker fulfilled a lifelong dream of his, having the London Symphony Orchestra perform one of his own concerts and creations. 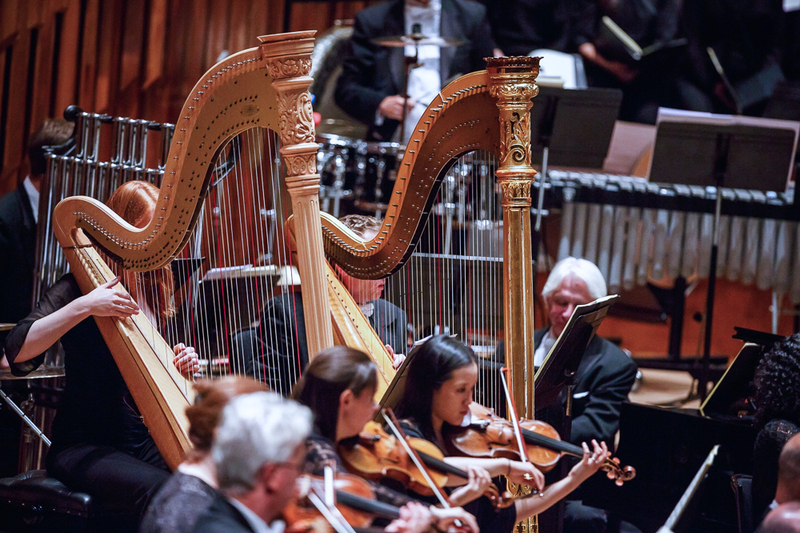 That concert was Final Symphony, a celebration of Final Fantasy VI, VII and X, in which the music told the wider stories the games are known for instead of focusing on the big themes as previous concerts had done. Fast forward just over a year and the team have once again turned their attention to the music of Nintendo, specifically The Legend of Zelda series. 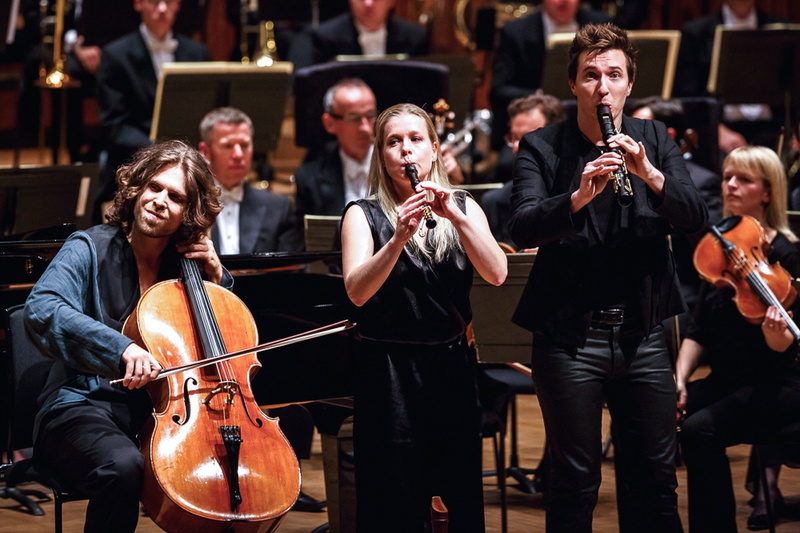 The team at Spielemusikkonzerte have taken on Nintendo’s music in the past with another concert also known as Symphonic Legends, which was performed in Cologne in 2010. 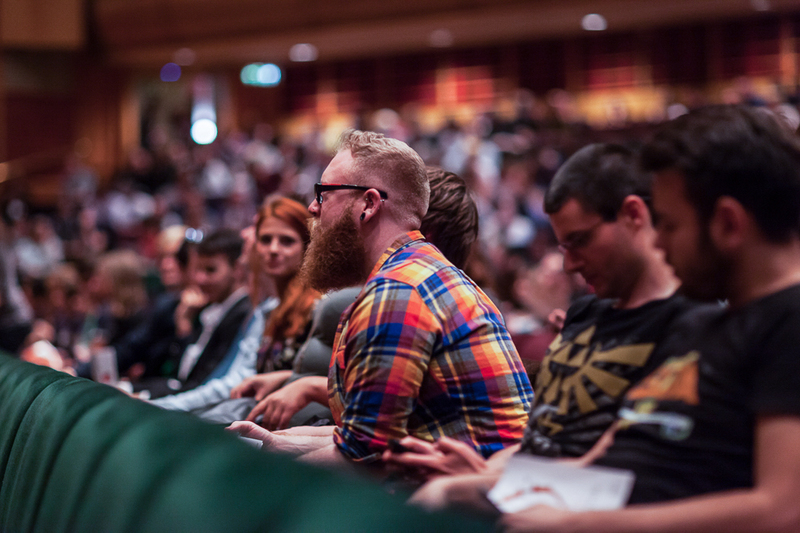 Whereas the Cologne concert was a celebration of the company in general, featuring music from Starfox, Mario, F-Zero, Metroid, Donkey Kong, Pikmin and The Legend of Zelda, this London concert four years later focused solely on The Legend of Zelda. Having been explored in a more traditional way with the Symphony of the Goddesses concert series and the 25th anniversary celebrations, I was very much looking forward to seeing what arrangers Jonne Valtonen and Roger Wanamo could do with the series rich musical history, and what it would sound like being performed by the LSO, one of the best orchestras in the world. Once again upon arrival there was a fantastic buzz at the Barbican Centre. There were a few cosplayers but the place wasn’t dominated by them, it was just the right balance. There were fans from all over the world attending and people who are not gamers exploring something new. Many of these people were new to this style of video game music concerts, being very different people from the Final Fantasy and Square Enix RPG fandom, so it was interesting to see how they reacted and what they thought of this music being explored in this way. The show opened with Jonne Valtonen’s “Fanfare for the Common 8-bit Hero”. Despite what the title may suggest, this piece is nothing like Aaron Copland’s “Fanfare for the Common Man”. It’s still an appropriately rousing opener, but this one is much faster and in many ways more exciting, perfectly setting the scene for the rest of the concert. I really liked the repeating trumpet line, the string rich tunes and some of the interesting harmonies going on throughout the piece. There’s also an interesting high timpani solo in the middle of the piece which was a very effective transition into a new tune. Although this was written for the Cologne concert this very much fits the Legend of Zelda mould, and so was a fantastic opening to the concert. The next part of the concert was “Skyward Sword – Overture”, celebrating the Wii’s flagship Legend of Zelda game. This piece was perhaps the most recognisable in terms of the tunes from the game, perhaps because the game itself has a full orchestral score anyway, not that any of that is a bad thing at all. The piece opened with the game’s flagship tune “Ballad of the Goddess”. It started slow as does the original with a harp solo, with other instruments such as the flutes, strings and trumpets gradually entering and taking over the tune as a motif. We then entered into a faster section where the lower instruments take over. It’s at this point that we hear a B tune come in from the trombones. Particularly of note here is one of the LSO’s newest additions to the orchestra, 18 year old trombone player Peter Moore, who won BBC Young Musician of the Year when he was 12 and played alongside myself and the trombones at the Guildhall School of Music and Drama many times, and at this point he got his moment to shine to video game music fans as the new co-principal of the LSO. After a rousing session the leader then took over with a gorgeous solo before Zelda’s Lullaby comes in. The classic doesn’t stay light for long, turning dark very quickly before blasting into the main theme. Continuing with the overture, the main theme was followed by an epic version of “Skyfield”, which reminded me of flying on the back of my Loftwing, one of the best aspects of Skyward Sword in my opinion (even if you disagree, it’s one of the best pieces of music in the game). This again turns dark but is strangely interrupted by a kazoo, giving a contrasting comical relief to the darkness before with “Dejected Groose”. This went slightly wrong in the performance, but this was the perfect time to do so, with the comedy aspect coming into play. Girahim’s theme came next with it’s maniacally dark tone, a perfect representation of the villain, slowing down, teasing before launching back again, just like the fight in the game before he descends into complete madness. The harp then comes back in to represent the romance of the story. Roger Wanamo wanted to feature the harp prominently in this arrangement and piece of music. It certainly gives the piece it’s character and overall feel and represents the game brilliantly. After this slower pace, we come to a new battle rising up from the peace and quiet before it. This section was full of emotional strings, epic brass including some amazing solos and the return of the giant metal sheet in the percussion section. This section includes the pieces “Danger”, “Imprisoned Battle”, “Miniboss theme” and “Demise Battle”. The battle against Demise is one of my favourite parts of Skyward Sword, partly because I love his character design (imagine Ganondorf as a Dragon Ball Z super saiyan) but also because of the epic music, and this arrangement really does this moment justice, as it does will all of the battle themes. The walking rhythm and the minor key drives it home until the victory at the end where the music turns major with two big chords. We then enter into the Romance theme, with the flow and rhythm of the market keeping this part going as a celebration of the end of the piece. The main theme carries as a recurring motif in this section and finishes on a big major chord. Another triumph in arrangement and execution, this was a fantastic start to the Zelda music of the concert. The next piece was The Wind Waker Concerto for Spark and Orchestra. Spark are a five-piece band that I would describe as indie classical chamber music. Their lineup is incredibly unique: two recorders, violin, cello and piano. Immediately striking was how Spark are such incredible performers, bringing amazing energy to their music, and they complement the orchestra unbelievably well. Daniel Koschitzki on recorder even let loose a few cheeky thumbs ups and even a wink at the end; he was quite the character! I also love the cello player, Victor Plimettaz’s hair. The programme explains that the intention of this arrangement was to give it a chamber music feel, as a full symphonic rendition of this music would be too much. Roger Wanamo believes that this piece is his best to date, and it’s easy to see why: there’s not much else like this out there. The piece opened rather bombastically with horns and timpani before the focus was on Spark. Each member of the band had a chance to shine with tunes, ensembles and cadenzas, and I loved the foot stamping as part of their performance, which gave it a visual presence as well as an audible one. “Outset Island” had an interesting mix of distorted chords and lighthearted fun, and “The Great Sea” had a mix of the familiar tune with snippets of other pieces such as the main theme and not so familiar progressions. Spark take centre stage in the second movement with the melancholy of being at sea, “as he [Link] wonders whether he’ll ever see his loved ones again.” I can’t believe how well Spark’s sound blends together; it’s unexpected for an unusual combination like Spark’s to sound like a complete unit the way they do. Then the trumpets come back in to signify the evil approaching, which leads into the third movement, in which we have the big battle themes. The hi-hat drives the movement forward through “Molgera” and Ganondorf’s famous theme. Somehow there’s a beauty to all this dark music, with some nice effects such as flutter tonguing, and even when Spark are on their own in this movement they exhibit a lot of power. This was another really magnificent piece of music, and it was a combination that I’ve never heard before which made it even better, and it worked so well. Before finishing for the interval, Spark remained on stage to perform their rendition of “Gerudo Valley.” The rendition featured Regina Chernychko on piano plucking the strings, plenty of banter between Stefan Glaus on violin, and Victor on cello! It was a more symphonic version but with the right feel and instrumentation that still made it feel and sound like Gerudo Valley should, with plenty of castanets of course. The final piece to conclude the concert was the Symphonic Poem. This is a new composition which has similarities with the piece composed for the Cologne concert, but in general has been completely redone for this concert. This piece showcased Conductor Rasmus Baumann as a very collected and down to Earth conductor. He didn’t need to make much effort to bring out what he wanted from the LSO. This piece was designed to be a complete retelling of a typical Legend of Zelda story. In this case the way it’s described in the programme most closely resembles Ocarina of Time’s story. 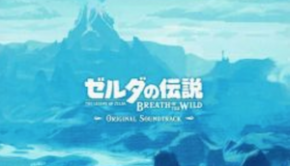 The first movement, Hylian Child, effectively opens with offstage horns, albeit with a few unfortunate split notes in this performance, but the brass shine in this opening with a gradual build up of instruments and textures from the “Overworld theme” and “Deku Tree”. Then we have Navi the fairy approach, at this point the music is light-hearted, capturing childhood as this tune is bounced between instruments. This gradually shifts from major key to minor key, foreboding what is to come, then some intense pizzicato from the strings and the return of the giant metal sheet leads into one of my favourite ever Legend of Zelda pieces, “Kokori Forest”. There’s some really disorienting lead violin and trumpet here, while the beauty is captured by the flutes and strings. One thing that always makes any of these concerts interesting is the unexpected flourishes and unconventional harmonies littered throughout, and there is plenty of that here. Darkness takes hold in the second movement, “Dark Lord”, with plodding bass, contra bassoon, fast-paced pizzicato and wooden percussion (including the violins literally hitting the back of their instruments) to create Ganondorf’s theme, in which the melody is played by the lower brass. The tension that they manage to build up here is amazing, creating the image of a truly scary villain, which Ganondorf definitely can be. The darkness then subsides and we move onto the third movement, “Princess of Destiny”, which takes a very graceful look at Zelda’s Lullaby. This section is another example of the arrangers moving away from traditional harmonies to great effect, with different sections of the orchestra passing the tune around and never allowing the music to become static. Other familiar motifs are also thrown in every so often before the dynamics makes way for the choir. 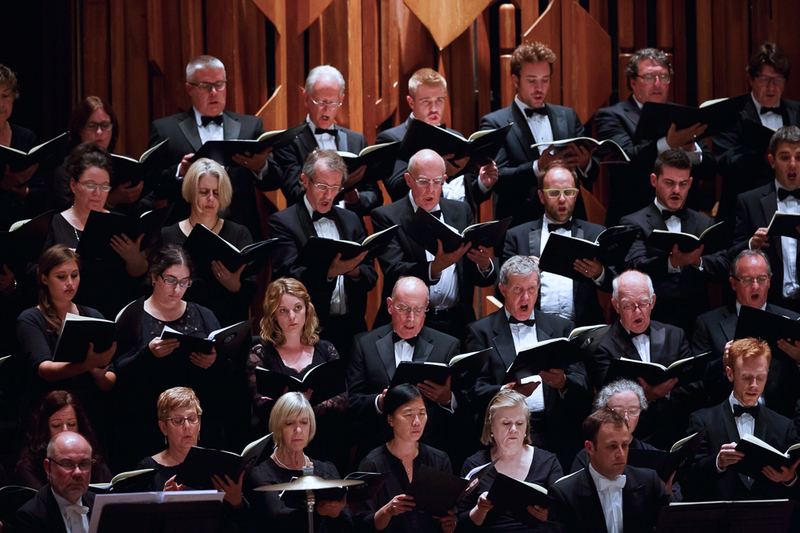 I’ve been critical of the quality and numbers of choirs in video game music concerts in the past, but this was not the case here: there was plenty of power and the balance was spot on from the London Symphonic Chorus. The LSC get their chance to really shine in the 4th movement, “Light Spirit”, with a focus on the tune of the same name from Twilight Princess before the dynamic fades away, the choir make bird whistles and the offstage brass take us into the 5th movement. The 5th movement, “Battlefield”, focuses on Link and Ganondorf facing off. This movement starts off loudly and clearly with “Dark World”, which for a change is played exactly how you would expect it to be played traditionally. It gets very tense and is driven by a fantastic trumpet solo and Mars, Bringer of War-style violin hits and snare drum patterns. 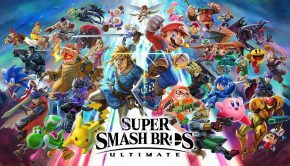 As the music progressed, it shifted into a section that reminded me of classic cartoon chase music before ramping up the intensity again with the choir and strings building into the final battle with Ganon. Listening to this really gave a sense of a truly epic struggle, I closed my eyes at this point and pictured it in my head. Silence is allowed to sink in before the rainfall starts the final movement, “Hero of Time”, the brass players hitting their mouthpieces with the palms of their hands to create this effect. The music gradually becomes more and more triumphant with solo violin and solo trumpets, brass sectionals and xylophone before launching into a more traditional rendition of the main theme. At least it starts off that way, but is kept fresh by moving through harmonies, dynamics and including the choir. Then the off stage brass come out of their hiding places for the final moments of the piece. This piece really is a perfect musical journey of a typical Legend of Zelda games from beginning to end, bravo to everyone involved. Unfortunately it’s very unlikely that there will be an album release for this concert due to Nintendo’s incredibly strict, protective nature, which in my opinion Satoru Iwata needs to sort out. I understand being protective of your brand especially if it’s one that’s as big as Nintendo’s, but this is the best representation of their music that they could possibly hope for and by being so protective I feel that the company are squandering a huge opportunity for video game music fans and for themselves. This is incredible original music made into incredible, classy symphonic arrangements made by classy people, and I really feel that Nintendo are shooting themselves in the foot by not allowing an album release of this concert or the Cologne concert. I am aware that previous efforts licensing their biggest franchises have resulted in films, games and TV shows that everyone would like to pretend don’t exist (The Super Mario Bros movie, The Super Mario Bros Super Show and Legend of Zelda cartoon (well excuse me princess), the infamous Zelda CD-i games) but this is not like that. 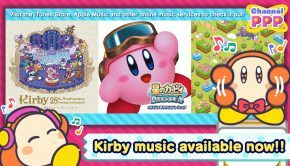 Nintendo do seem to be allowing more soundtrack releases and putting together live recordings and concerts of their soundtracks as time goes on so I hope that they will see this amazing opportunity for what it is in the future. Overall, once again as is typical of the team behind these events, this concert was incredible. People should not try to compare these concerts to something like Symphony of the Goddess or other similar shows which are just that, shows. These shows are still fantastic and are well worth attending and having a good time with their fan-service, big screens and simple, accurate yet still effective orchestrations of the tunes. 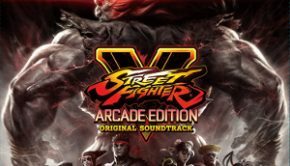 This concert is something completely different, it is an artistic exploration of video game music. I feel this needs to be said as by now Square Enix fans will be more attuned to hearing the music of Final Fantasy and others in this way, but Nintendo fans will still be fairly new to this, and I encourage them to keep an open mind to this unique approach to video game music and concerts in general so that they get the most out of it. Posted on January 4, 2015 by Joe Hammond. Last modified on January 4, 2015.